Wine Spectator magazine releases their annual Top 100 Wines list gradually, two per day for the first week and the remaining 90 wines a week later. Early results revealed prolongation of the epic Napa Valley vs. France battle, more presence from the Pacific Northwest and some sightings of Italy and Spain. Actually, the Rioja region of Spain made a significant statement through a wine and winery that I nearly visited last Spring. In May, we spent a few days visiting Haro in northern Spain’s famed Rioja wine region. The Haro Wine Loop allows one to access 5-6 different wineries by foot. 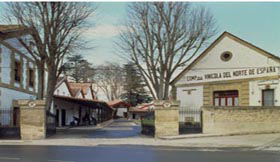 We walked by the CUNE Winery on my way to an interview at R. Lopez de Heredia, later choosing Bodegas Mugas as our last stop. Had we opted for Cune, we would have, most certainly, tasted the Cune Rioja Imperial Gran Reserva 2004(95pt/$63), Wine Spectator’s #1 most exciting wine of 2013.
tempranillo-dominant blend, began in the 1920’s as a special bottling for an English market and has become a thriving red wine ever since. The designation of this Cune blend is recognition of the world-class wines that have emerged from the Rioja region into U.S. markets for decades. We find seven Rioja wines on the 2013 list, a few that I have actually tasted. 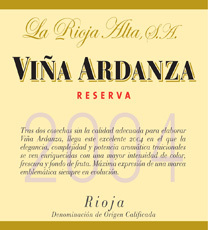 Rioja wines are usually very aromatic, full-flavored and deliver long finishes. However, the most noteworthy attribute of Spanish winemakers is their commitment to aging. Crianza 2003 (93 pt/$36), vintages much older than the norm for other 2013 releases. While many Rioja wines boast aging of at least two years each in the barrel and bottle, the fact remains that many wineries delay release for nearly a decade after harvest. In May, we tasted the 1998 vintage “Vina Tondonia” white wine, an unheard of release age compared to other regions of the world. By comparison, California whites are typically consumed within 18 months from release. Many Rioja white wines are not released for ten years and proclaimed drinkable for another decade. Some Rioja wines have an earthiness; others are very fruit forward, but aging, undoubtedly, contribute to the complex, fully balanced flavors. Balancing Old World tradition with modern technology, Rioja sits among the world’s finest regions and continues to deliver fine, aged wines to the U.S. market at competitive prices. The Napa Valley contributed 14 wines, the most of any region. While half of the wines were their classic and pricy cabernet sauvignon releases, the remaining half, surprisingly, included five different varietals. In past years, most of the top California pinot noir releases originated from nearby Sonoma Co. In 2013, half of the, California pinot’s come from the Carneros region in the Valley’s southwest section, nearest and most influenced by the San Pablo Bay inlet of the San Francisco Bay. 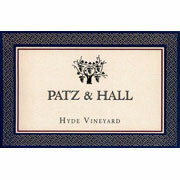 contributed to the success of the single-vineyard #31 Patz & Hall Pinot Noir Carneros Hyde Vineyard 2010 95 pt/$65 or the #59 Donum Pinot Noir Carneros 2010 95pt/$72, a wine that has become a leader in the Carneros pinot revival. vineyard with cabernet sauvignon grapes and now produces one of the valley’s best, especially compared to others under $100. Notwithstanding that the #72 Shafer Relentless Napa Valley 2010 95 pt/$72 returning to the list after the previous vintage was named 2012 Wine of the Year, varietals like syrah, zinfandel and chardonnay have, in recent years, thrived in other California regions. 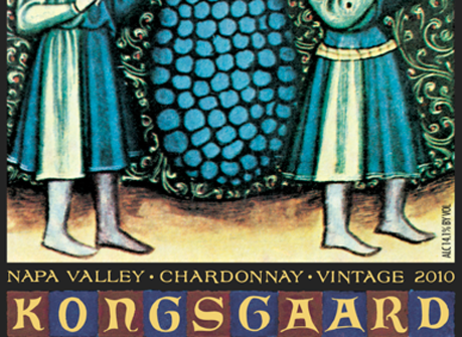 However, the diversity of Napa Valley is on full display in 2013.
their reputation for creating balanced, elegant chardonnay, it’s nice to see the #5 Kongsgaard Chardonnay Napa Valley 2010 95pt/$75 listed among the best wines of this year. 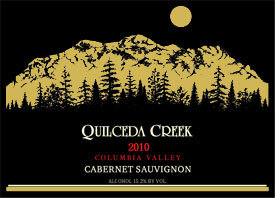 Sauvignon Columbia Valley 2010 95pt/$135, both made the top ten. The emerging Walla Walla region is showcased by the #11 Reynvaan Syrah Walla Walla Stonessence 2010 98pt/$70, the highest rated wine and the #27 Spring Valley Uriah Walla Walla 2010, a merlot-based blend. The #17 Alexana Pinot Noir Dundee Hills Revana Vineyard 2010 94pt/$42 proves dominance throughout Oregon, but the price of the #55 A to Z Wineworks Pinot Noir Oregon 90pt/$18, a hybrid of 60 vineyards yielding over 130,000 cases, intrigued me enough to purchase a few bottles. The wines from France and Italy, vintage to vintage, have a major presence on the list due,in part, to the broad range of their regions. 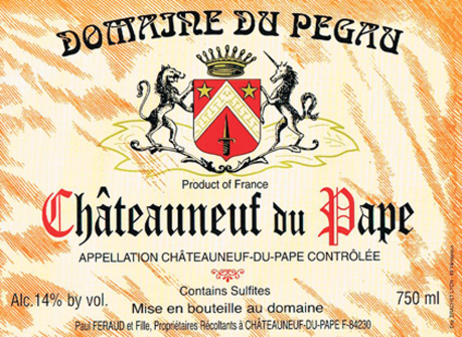 96pt/$120, that used varying amounts of all nine grapes permitted in the region. Of note, the neighboring Gigondas appellation produced the Grenache-based #15 Olivier Ravoire Gigondas 2010 94pt/$33 that appears to be a good value if you can find it. Among the mighty, Provence has emerged as an important French region producing fine rose’ and, having attended their showcase tastings in Los Angeles, I anticipated their eventual inclusion on the list. The cinsault, syrah, Grenache blend #84 Jolie-Pitt & Perrin Cotes de Provence Rose’ Miraval 2012 90pt/$28 comes from the Provence estate of Angelina and Brad in partnership with the Perrin family of Chateau de Beaucastel fame. 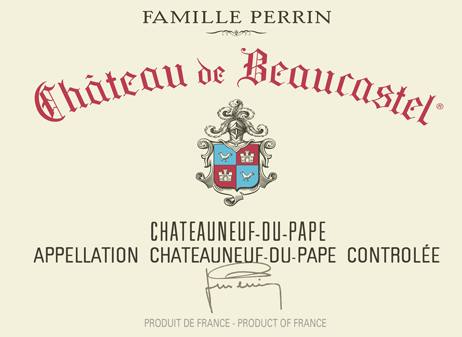 This designation makes it the world’s finest rose’ for 2013. 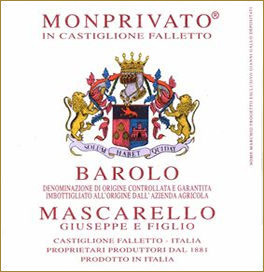 Mascarello & Figlio Barolo Monprivato 2008 95pt/$110 and the #16 G.D. Vajra Barolo Albe 2008 94pt/$42, Italy’s top rated wines. The moderate price of the #18 Poggerino Chianti Classico 2010 93pt/$25, an authentic Tuscan sangiovese, enticed itself on to my wish list. Four Portuguese releases, two ports and two red blends were incorporated into the list. For those seeking value without compromising quality, the #37 Quinta do Passadouro Douro 2010 91pt/$28 is a blend of three native grapes from the Douro region and a wine to make note of. Aside from these trends, we now anticipate seeing wines from Germany, South Africa and South America appear annually. 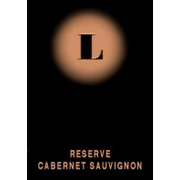 One particular wine, the widely available, moderately priced #36 Bodega Norton Malbec Mendoza Reserva 2011 92pt/$20 is a full-flavored wine that has made numerous appearances. This snapshot of 2013 has me wanting to explore more wines from Walla Walla, Piedmont and, of course, Rioja. Fourteen countries and four U.S. states have contributed to this 2013 who’s who of wine, evidence of its global impact. This entry was posted on Tuesday, December 10th, 2013 at 6:05 am	and tagged with Cune Rioja, Domaine Serene, Napa Valley, Rioja wines, Walla Walla and posted in Wine. You can follow any responses to this entry through the RSS 2.0 feed.